People's Choice Awards 2015 - Backstage. Matt with his award for "Favorite Cable TV Actor". 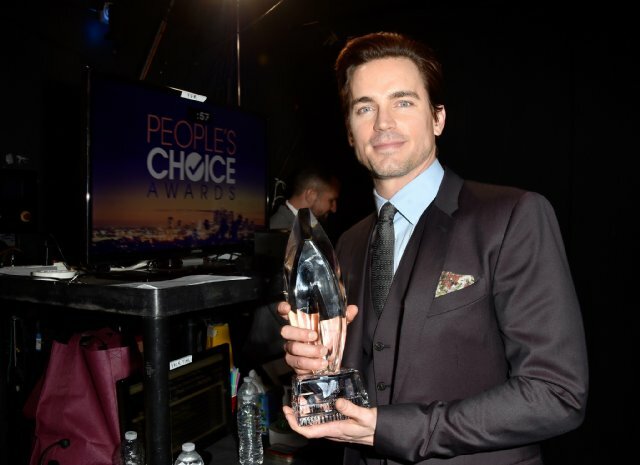 Wallpaper and background images in the मैट बोमर club tagged: photo matt bomer pca 2015 award. This मैट बोमर photo contains बिजनेस सूट. Matt Bomer & Laura Vandervoort किस for 'White Collar'! Eliza Dushku: White कॉलर Set with Matt Bomer!